Are you looking for a versatile portable screen? 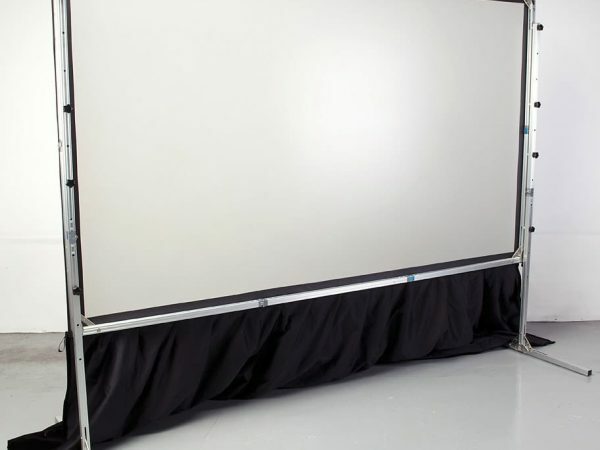 Front and rear projection screen SmartFold® is what you need! It comes with two projection screen surfaces, so that you could place the projector behind or in front of the screen. 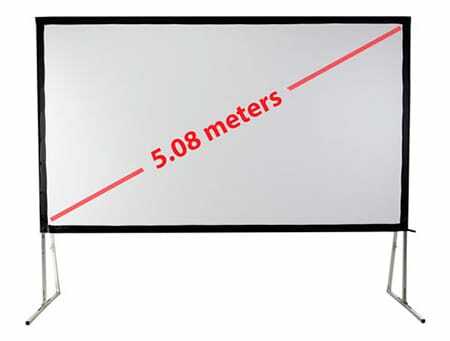 Use this screen for presentations, movies, business and entertainment. 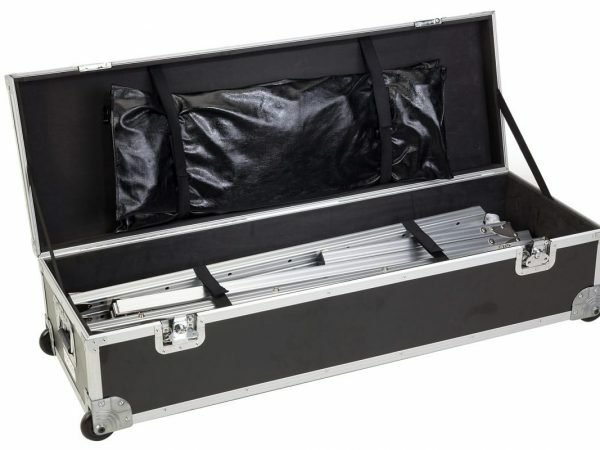 The lightweight frame and projection surface pack down into a tidy wheeled road case. It is so compact it fits into the back of your car. 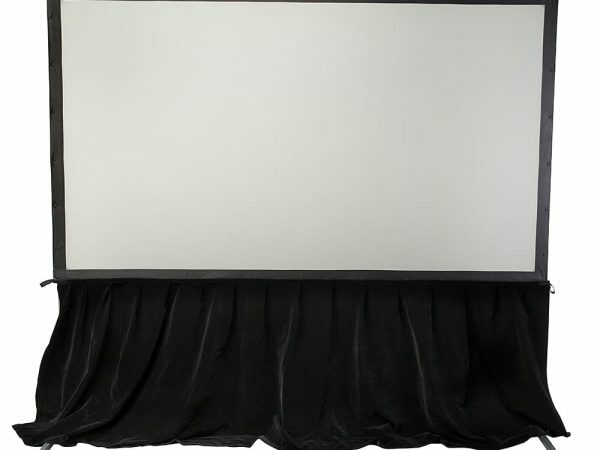 This front and rear projection screen has a lightweight aluminium frame. The folding screen takes minutes to assemble. Moreover, no tools are needed for the screen assembly! 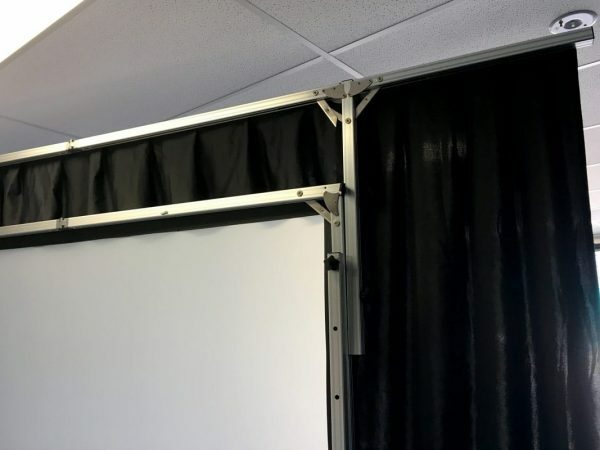 Attach the projector screen surface with press studs and adjust the legs height to ensure the screen is at optimum distance from the floor. You can also attach it to the wall or hang it out from the ceiling. Our video will help you with the screen assembly. A drape kit, which consists of the additional aluminium frame, side drapes and top drape, is an optional extra. Place an order online or contact us to discuss your order details. We offer flat rate shipping all over Australia and also ship overseas. 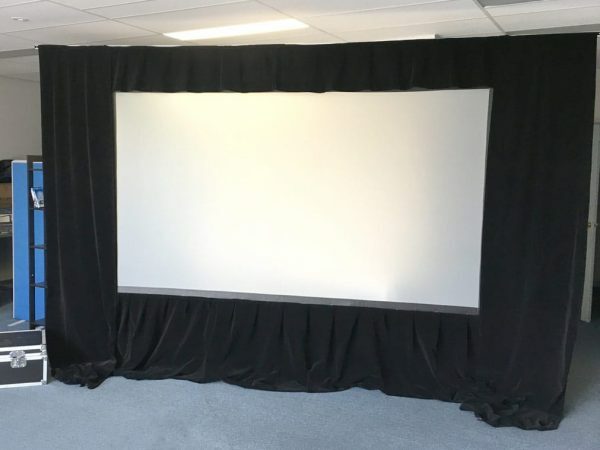 We also offer complete solutions, including movie projector, quality speakers, and media control centre – check our SmartFold movie package and call us on 03 9729 6300 to explore alternative options. 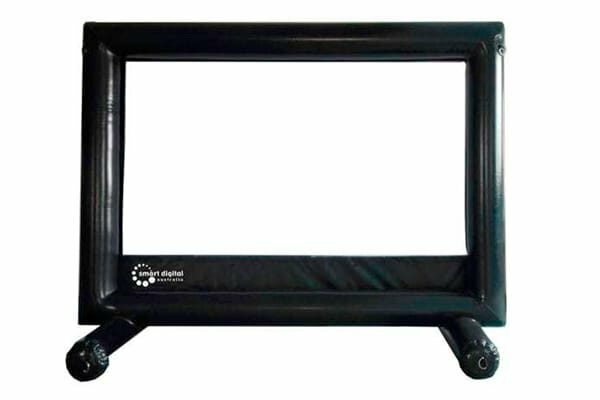 Screen: Includes both front and rear screen surfaces; surface simply attaches to the screen frame with press studs. This ensures a completely flat surface for great picture quality. 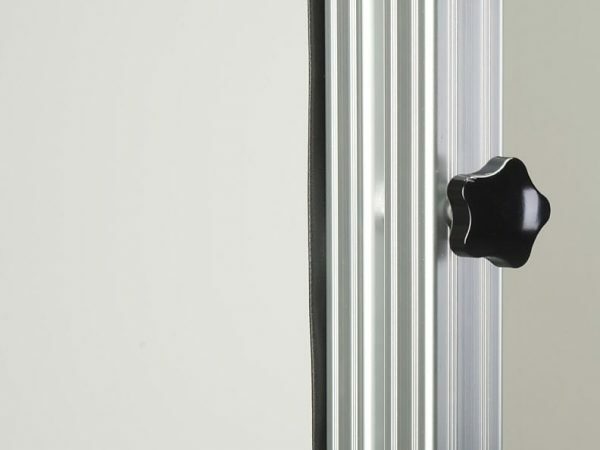 The screen frame is constructed from 317mm square aluminium tubing.